Hydration: Is it really that important? Dr. Flanders is a firm believer in the power of proper hydration. Electrolytes are the composed of potassium, sodium, magnesium, calcium and phosphate which all regulate fluid balance, muscle contraction, energy generation and almost every major biochemical reaction in the body. These must be maintained in a very delicate balance to keep your pet healthy. 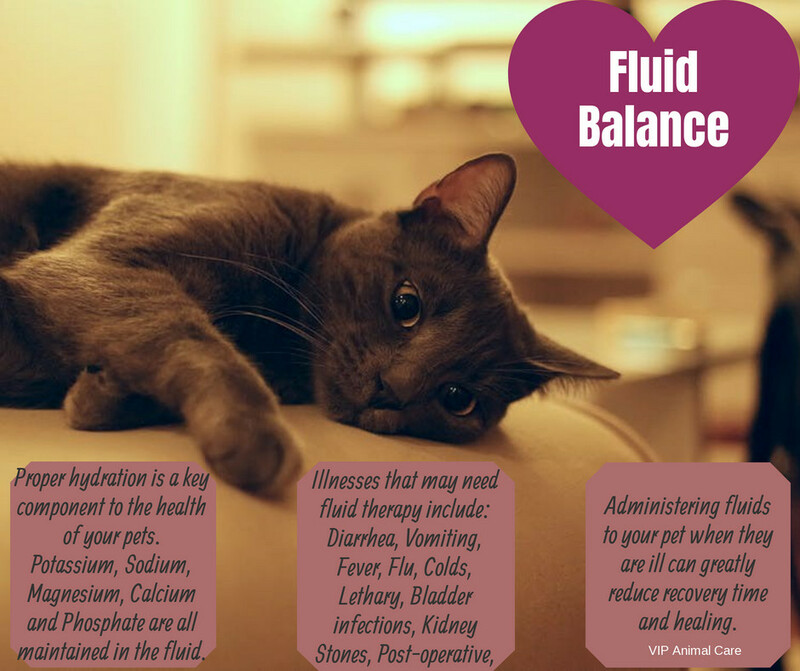 Many illnesses can cause a disturbance in your pet’s fluid balance. Many pet owners are shocked when we administer fluids to their pets. Any time your pet sees us for even a minor illness, fluid therapy may be a valuable tool in their recovery to health. Some illnesses that we regularly give fluid therapy for include: Flu, colds, diarrhea, vomiting, fever, lethargy, bladder infections, kidney stones, diabetes, and post operative procedures.